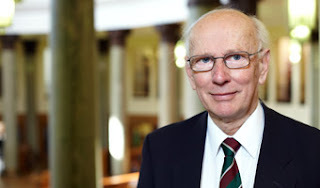 A.H. Cadwallader, ‘Tertius in the Margins: A Critical Appraisal of the Secretary Hypothesis’, New Testament Studies 64 (2018), 378–396. There are lots of things of interest in this article about the role of Tertius in Romans 16.22. One of the claims of the article is that Tertius’ greeting was originally a marginal note, incorporated into the text by an early copyist. Although this is claimed as an original contribution of the author, in actual fact it repeats in practically every element the theory advanced by Hugo Grotius in 1646, and discussed in ten different scholarly works on the text of Romans between 1835 and 1898 (and on this blog last year). It seems like The Amsterdam Database of New Testament Conjectural Emendation (online at http://ntvmr.uni-muenster.de/nt-conjectures) should be more widely known among NT scholars (and editors). A new introduction, Textual Criticism of the Bible: Revised Edition (Lexham Methods Series) is in the pipeline. The first edition of this introduction was authored by Wendy Widder in 2014. Widder, who is more a specialist on the Hebrew Bible and language, has now been joined by our own co-blogger Amy Anderson, which means that the aspect of New Testament textual criticism has been significantly improved in the revised edition. According to Amazon. the book is scheduled to come out on 24 October, so you should be able to get your signed copy at SBL. 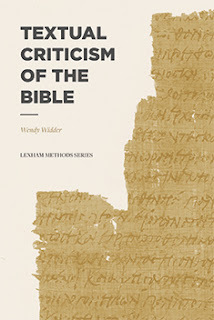 With this handbook Anderson and Widder provide a clear and helpful introduction to Old and New Testament textual criticism. In a time of increasing specialization and fragmentation, a handbook that takes what the two fields have in common – in particular scribal habits – as the starting point, is very welcome. Clear explanations, definitions of key-words, lucid tables and illustrating examples make this introduction particularly suitable for the beginning student. Good news for Old Testament textual critics! The University of Zurich Library has made the volumes of CTAT available for free download as part of ZORA (Zurich Open Repository and Archive). I’ve been told (correct me if you know something more) that there will be no Pentateuch volume for this series. I want to thank Dougald Mclaurin and Brian Davidson for bringing this news to my attention. Enjoy! 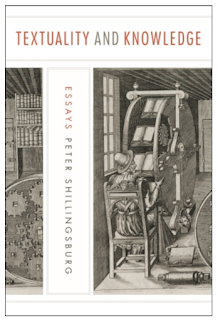 Jim Spinti of Penn State University Press notifies me of a new book that is out with collected essays by Peter Shillingsburg, Textuality and Knowledge, which may interest blogreaders. With the discount code “NR18” our readers get a 30% discount (list price for paperback: $44.95, with code $31.47). Keith Elliott’s reviews are always a highlight for me. His prose is a delight and his pen can be almost as sharp as his eye for detail. They always challenge me to improve my own book reviews. The publication of a Greek New Testament is not usually a headline event for general readers but this Tyndale edition (under the editorship of its re- searchers, led by Dirk Jongkind and Peter Williams) is significant. It takes a proud place alongside other edited Greek testaments currently on the market. Significantly it appears c.500 years after Erasmus’ first printed and published Greek (and Latin) Novum Instrumentum and the anniversary of Luther’s initiating the Protestant Reformation and his German New Testament (of 1522). ... A Preface opens the book and contains a brief explanation of the editorial motives. (It ends with the evangelical slogan “Soli Deo Gloria” even though gratia is conveyed later—especially to financial donors—on pages 525–6). ... Fulsome acknowledgements conclude the volume. 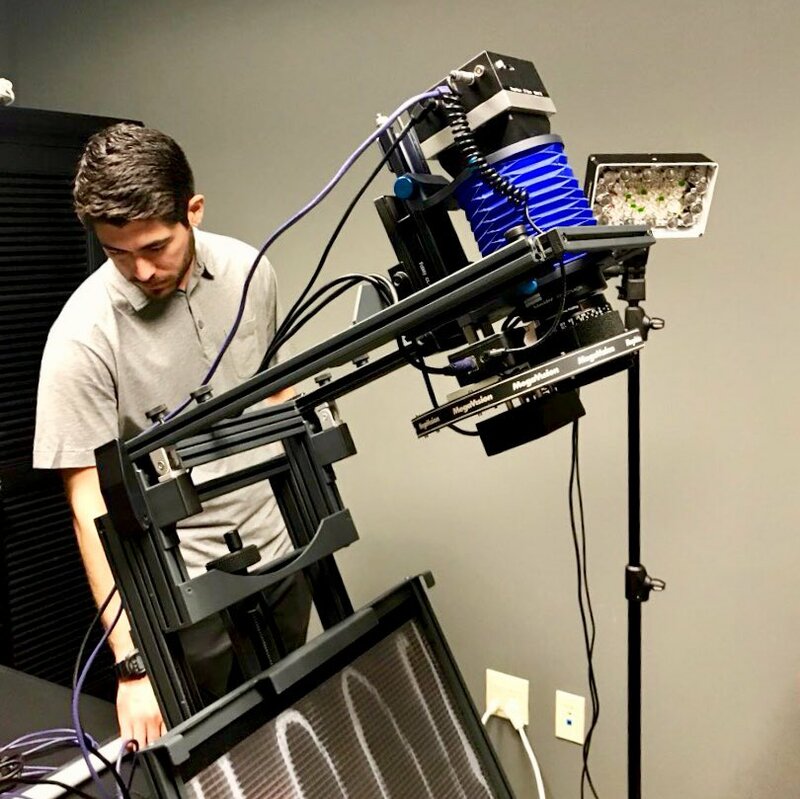 We reiterate the praise there for the researchers, editors and assistants who together have achieved their goal, against many commercial and scholarly odds. We must wait and see how influential this edition proves to be in the academic world of New Testament studies. [See his much longer review in JTS 2018.] Many passages agree with the Byzantine text-type and therefore differ from “the established (sic) text” (i p. 19*). Among the 52 readings where ECM differs from NA28 (I pp. 34*-35*) thirty-six move towards Byz. Only three move away from Byz. ... This edition will be with us for many decades and its text will be used as the text in NA and UBS. We express our gratitude to the Münster Institut, its Direktor and Mitarbeiter. They have done themselves—and the scholarly world at large—proud, yet again. [On my thesis:] At the viva voce at the University of Cambridge the examiners of Gurry’s thesis had no problem in recommending it as a worthy example of original thinking and a proper contribution to learning. Academic text-critics have known of—and pussyfooted around—CBGM for several years, suspicious of it because of its apparent lack of careful explication. Now Gurry has peered behind the veils of mystery and exposed the importance and significance of its methodology. [On my book with Tommy:] This combined effort (although seemingly mainly Gurry’s work, if source criticism be applied) is a welcome introduction to the Coherence-Based Genealogical Method (= CBGM) devised by Gert [sic] Mink at Münster for coping with the large number of Greek New Testament manuscripts extant. Several of us have been wary about extolling its apparent virtues, partly because it looks so complicated and Mink’s own published explanations seemed opaque. Now Wasserman and Gurry have explained its history, use and consequences. They also highlight its limitations—always an honest approach to such matters. However, they hope that those promulgating the methodology (hitherto restricted to a few dedicated scholars) may soon allow its rich databases to become freely available. Yet another theological disciplina arcani is highly undesirable. “Transparency” need not be a term currently (over)used in business and politics! Put this way, it may be so. But I am intrigued that Elliott—both here and in my viva—says ne’re a word about my argument in the thesis that the CBGM’s results challenge the foundational premise of thoroughgoing eclecticism, that premise being that we simply do not know enough about textual relationships to think that some manuscripts could be consistently preferred over others. In fact, the CBGM tells us enough about witness relations that we cannot deny that some manuscripts lie closer (statistically, at very least) to the initial text, whatever we take that be. In other words, if Elliott were to use the CBGM on the front end using his own preferred principles, he would have to conclude on the back end that some manuscripts deserve his attention more than others. Jean-Louis Simonet has been busy finding over 100 minuscule manuscripts and lectionaries containing portions of the Greek NT (which are not found in the Liste). Here is his report. Il y a quelques mois, nous considérions la Liste de Gregory-Aland à peu de chose près comme le Canon du Nouveau Testament : avec ses presque 5900 témoins du Nouveau Testament, elle nous semblait être une œuvre quasi achevée. On pouvait sans doute encore espérer la compléter par quelques découvertes nouvelles (des manuscrits pas encore enregistrés dans des catalogues de bibliothèques, ou des manuscrits dans d’autres manuscrits), mais nous pensions qu’il serait vain d’espérer l’enrichir considérablement. Pendant longtemps d’ailleurs, n’y avait-il pas eu en moyenne un seul manuscrit nouveau par année ? Seul le travail de recherche systématique de Dan Wallace et son équipe du CSNTM avait permis de hausser cette moyenne depuis quelques années. On savait certes aussi, grâce à des communications du CSPTM, que des monastères grecs peu connus contenaient au moins 42 manuscrits du Nouveau Testament (communiqué du 20-10-2012, qui ne figure plus sur le site actuel de cet organisme), et que les monastères de l’Athos ont aussi quelques manuscrits qui restent non enregistrés (communiqués du 24-12-2014, du 10-60 et du 20-11-2015), mais jusqu’à présent ces recherches restent sans écho visible au niveau de la Liste, et les images des manuscrits, s’ils ont été numérisés, sont encore inaccessibles au chercheur. De même un Praxapostolos de Kallimaki (Chypre) a été signalé par la revue Dodonè, sans autre suite. J’avais déjà découvert, par hasard, les pages de garde en grec d’un manuscrit arménien de Bzommar, et un lectionnaire grec de Thessalonique. Puis, en constatant l’absence, sur le site du Vatican, du manuscrit Barberini grec 346 (qui est dans la liste), j’ai, par curiosité, jeté un coup d’œil à son potentiel voisin, le Barberini grec 345. 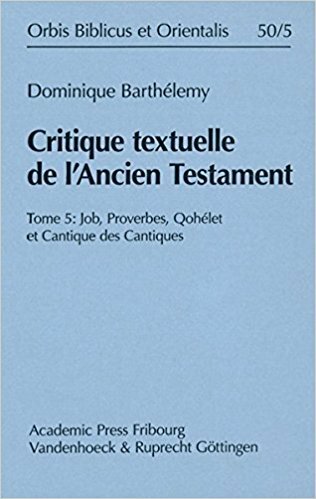 Surprise : ce lectionnaire, inconnu de la liste, contenait des lectures du Nouveau Testament ! Mais alors, se pourrait-il qu’il y en ait d’autres dans son cas ? Ce soupçon m’a amené à vérifier systématiquement d’autres lectionnaires, d’abord dans le groupe des Barberini grecs, puis dans le reste de la Bibliothèque Vaticane, puis dans d’autres bibliothèques (généralement) accessibles sur Internet. Nous dressons ci-dessous une liste des résultats de cette recherche, qui ont bien sûr été dûment communiqués à l’Institut für neutestamentliche Forschung de Münster. I haven’t been able to post updates to the saga of the Early Mark Fragment as often as I wanted. 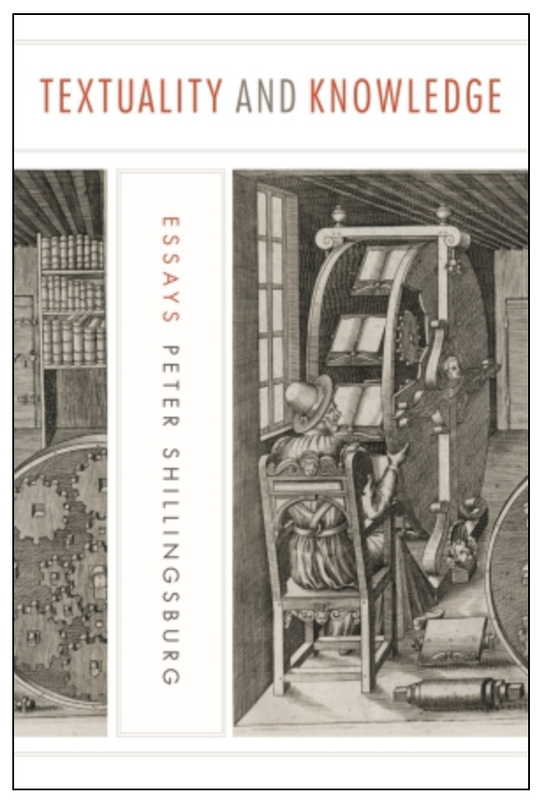 Peter Gurry and I have been busy making last-minute edits to a project we’ve been working on for over two years, but we have finally submitted it to IVP, so I have a bit more time now. 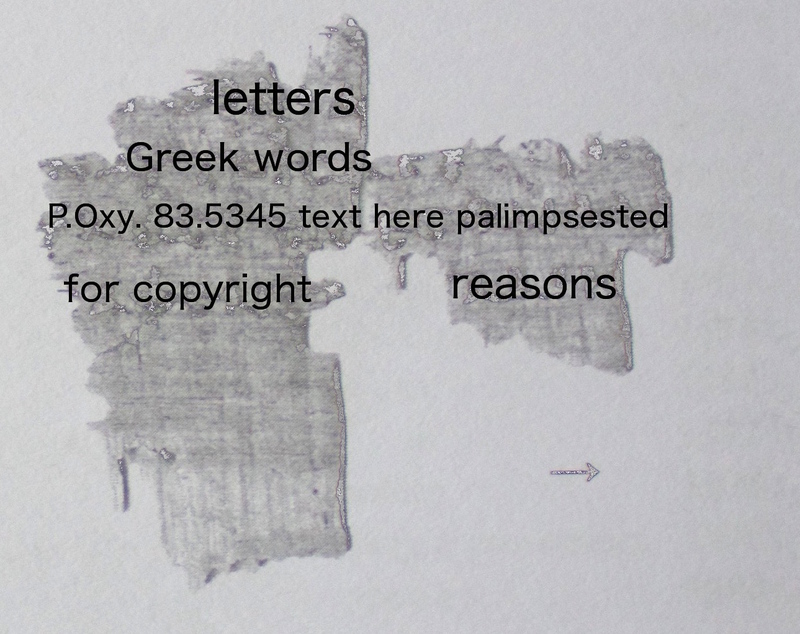 In the most recent volume of the Oxyrhynchus Papyri (vol. 83), the Egypt Exploration Society (EES) published a fragment of Mark 1 (P.Oxy. 83.5345; P137), edited by Dirk Obbink and Daniela Colomo and dated to the late second/early third centuries. Scott Carroll and Dan Wallace both verified that P137 is the fragment that they had spoken of as “first-century Mark”; the earlier dating was simply incorrect. The EES made a statement that the fragment had never been for sale and even made the edition available online. Most of the back and forth from that point centered on Scott Carroll’s insistence that Dirk Obbink had offered the fragment for sale and the EES’s insistence that the fragment was never up for sale. These are the unresolved questions that give this fragment its continuing intrigue: Did Dirk Obbink try to sell it (possibly without its owners’ knowledge or approval), and if not, why in the world would anyone lie about that? All of these discussions were happening while Brent Nongbri was writing a series of excellent blog posts on the Oxyrhynchus Papyri, which you should definitely read. 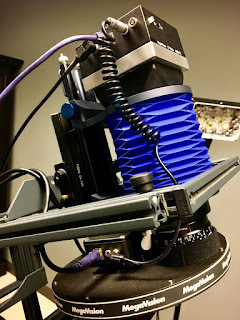 James McGrath has a great roundup of posts about the fragment, here. Bart Ehrman echoed Hurtado’s defence of Obbink, “I believe Obbink is completely honest and innocent in the whole affair” (see the comment section, here). Do you have papyrological interests? If you have papyrological interests, I want to point out to you the great deal offered by the American Society of Papyrologists. An individual ASP membership costs $35, and for that you will an annual subscription to the Bulletin of the American Society of Papyrologists, almost 400 pages of high-quality papyrology spanning a wide range of subject matter, from editions to essays. Our new arrangement with Peeters Publishers allows us to offer this without shipping or other additional costs. To become a member, simply go to: http://www.papyrology.org and click on the membership button. Great news from CSNTM this last month. 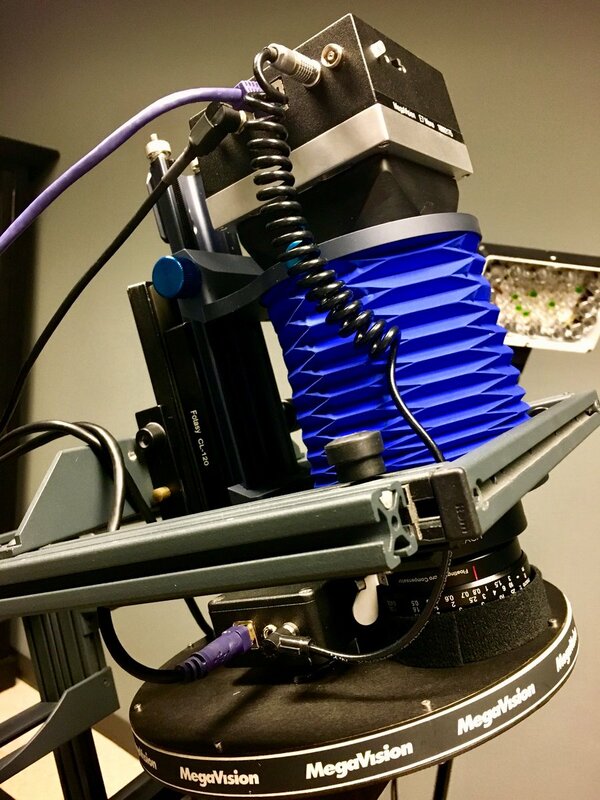 They have been working on raising funds for a multi-spectral imaging (MSI) camera and they have now acquired one. Just last week they posted photos of the team training on the new machine. I have heard from staff there that they already planning to use it on trips planned for this summer. For those who don’t know, MSI is extremely helpful for reading palimpsests and was used extensively, for example, on the Sinai Palimpsest Project. I am sure this new tool will make CSNTM even more in demand. Do think about supporting them if you are able.